On June 23rd 2018, the Norwegian owned tanker 'Bow Jubail' collided in the port of Rotterdam and spilled approx. 200 tonnes of fuel oil, resulting in the contamination of over 1,000 mute swans plus a small amount of cormorants and ducks. EUROWA team members LINK developed a facility to rehabilitate the casualties (or if necessary to humanely euthanize them) and within 6 days a full facility was in place in Maeslantkering. 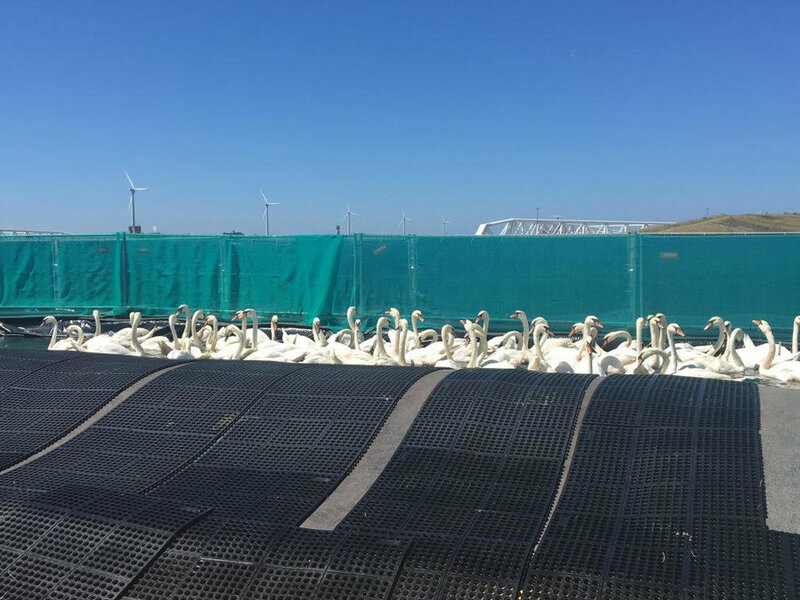 Washing was able to begin with holding pens set for both the oiled and cleaned swans, in place. Birds were rested, rehydrated and blood tested before washing in an effort to support their ability to survive the stress. Many hiccups along the way were ironed out and pools were developed to allow the cleaned birds to recondition their feathers before release back to the wild. 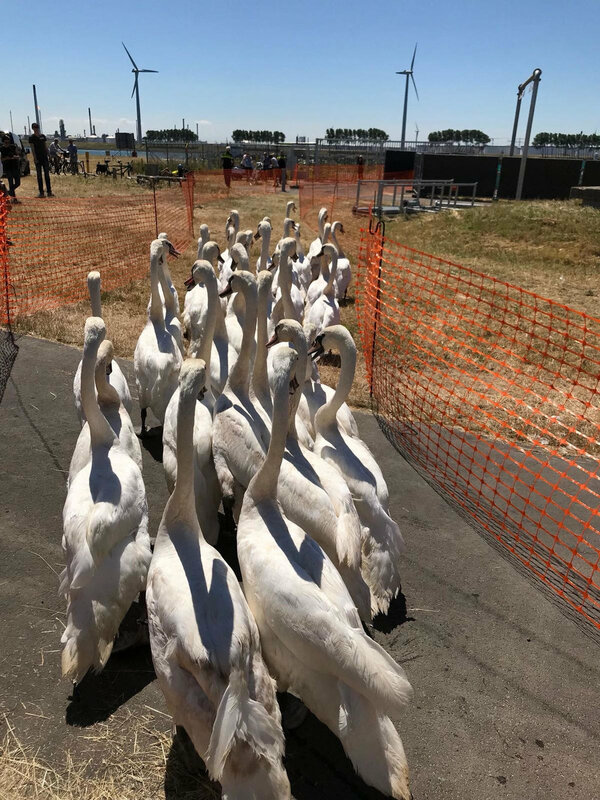 By Friday 13th July, all but 140 swans were washed and on Saturday the 14th 41 birds were released after being ringed and blood tested. Many of the birds are in moult and likely therefore to remain in the area of release which is deemed to be safe in terms of re-contamination as the harbour area still poses as threat while clean up continues.